MAKE AND OFFER AND MAKE IT QUICK! 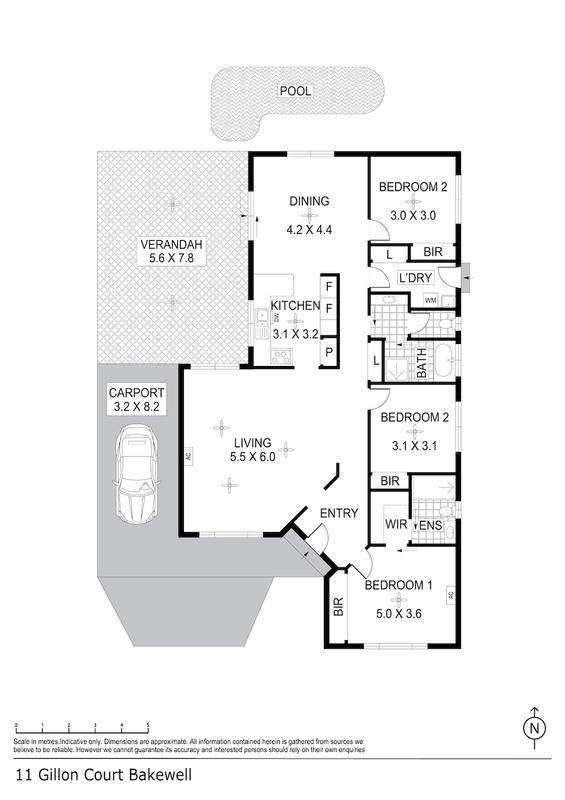 All About Real Estate NT is pleased to present this family home to the market. Loaded with a long list of perks, this home is tucked away and private 3 bedroom solid block and rendered home is ideal for the first home owner, the family, the couple or downsizers alike making it truly a versatile property that will be HOT in this market. Set back from the street with a screen of tropical gardens and a small front yard with rolling green lawns, the home has secure fencing and gated entry plus carport parking as well. With only local traffic passing in the court, the kids can safely play with the neighbours having a game of B/Ball or riding bikes. Inside the home is a sundrenched formal sunken lounge with tiled flooring and a dramatic feature wall that gives this room instant WOW factor. With A/C as well, this large living room will be the ideal space to hang out as a family for movie nights or chilled weekends. The master bedroom is also front facing with a large bay window just like in the living room. This large master bedroom includes an ensuite bathroom as well as A/C while 2 more bedrooms each include tiled flooring along with mirrored built in robes. Central to the home is a large kitchen with overhead storage space and pantry plus a flow through design to the dining room at the rear. A small breakfast bar provides a great space for the kids to hang out and do their homework while you prep a meal or is a spot for the younger kids to eat a quick meal that is easy to clean up afterwards. 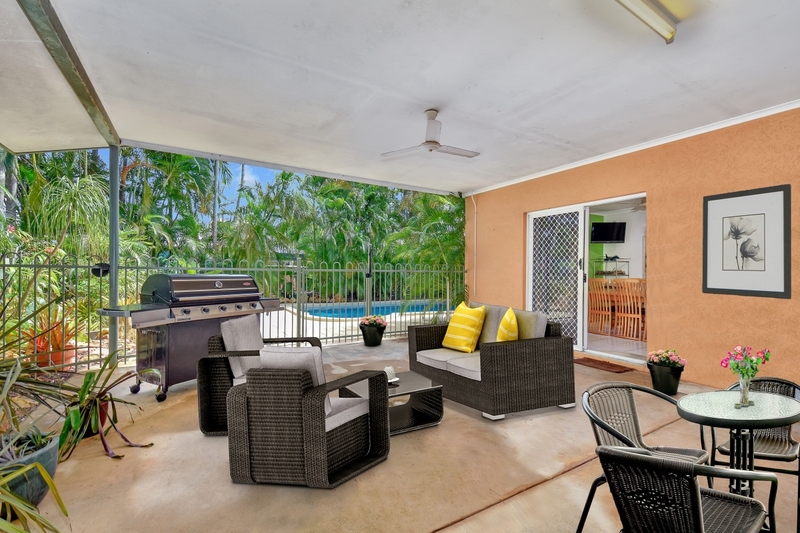 Outside there is a sheltered verandah with established tropical gardens acting as a screen between you and the neighbours whilst also adding in a touch of relaxed tropical vibes to this extensive undercover area. A securely fenced massive in ground swimming pool is perfect for the kids and they will want to spend hours out here enjoying it. Surrounded with a ring of shady palms, this area is a real highlight of the home. Located within the catchment area of the nearby Bakewell Primary School and only 5 minutes from Palmerston CBD, there is a lot to love about this home and the owners are ready to move on, so make an offer and make it quick because this home is likely to be snapped up at the first available showing.